The Circus Dragon likes the timelight more than anything in life. 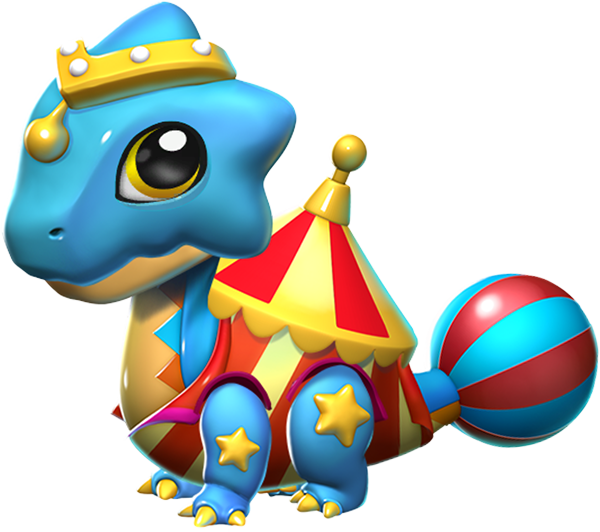 If you need a quick performance to cheer up your baby dragons, just take them to the Circus Dragon! The body style of the Circus Dragon is stout. 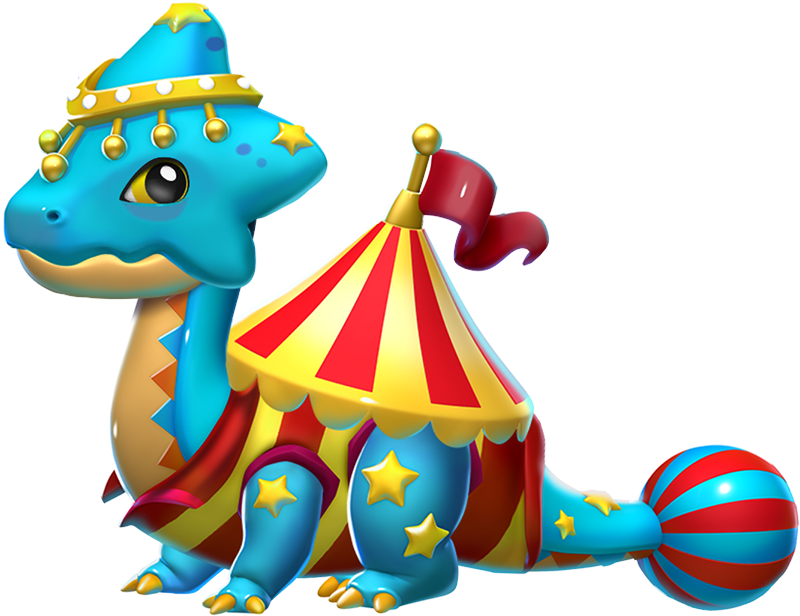 The Circus Dragon has a light blue body with a red and yellow circus tent with a red triangular flag on the Dragon's back. 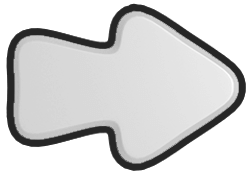 At the end of the tail there is a red and blue striped ball. 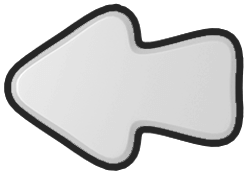 On the front legs there is one five-pointed yellow star and on the rear legs there are two five-pointed stars. The Circus Dragon is a Limited-Time Dragon whose method of obtaining is currently unknown. Incubating and subsequently hatching the acquired egg of this Dragon takes 23 hours and 30 minutes. 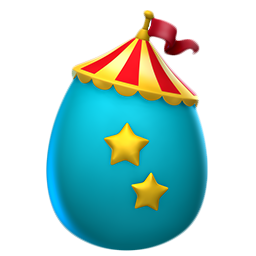 With an active VIP Status of Level 2 or higher, the hatching time is reduced to 18 hours and 48 minutes.